Ever wondered why do we sometimes have both the anchors of different lengths. It is not very uncommon to notice 10 shackles on one anchor while 11 shackles on other one. All the requirements concerning anchor onboard are formulated in the guidelines issued by International association of international classification (IACS). These requirements include requirements for anchor weight, diameter and steel grade for the stud link of the chain cable and the length of the anchor chain etc. All these requirements are governed by something called “Equipment number”. 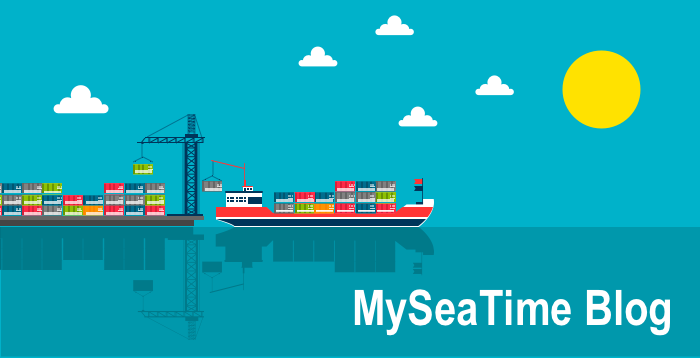 If you would have seen the anchor certificate generally issued during yard delivery of the vessel, you would find the equipment number on that certificate. As per the equipment number, the total length of the anchor chain is given. So if say, for a particular equipment number, the minimum length of the cable required is 21 shackles, one side of the anchor is given 10 shackles and the other one 11 shackles. 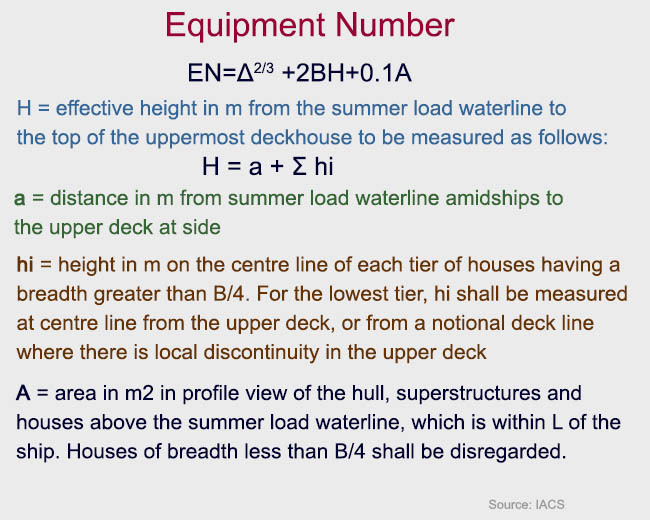 Below is the table that shows how equipment number corresponds to the particulars of the anchors onboard. 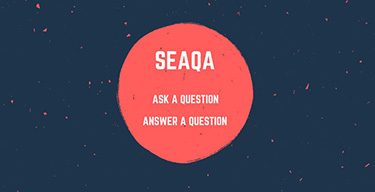 Did you find this information useful ? Let your views flow in the comments below. 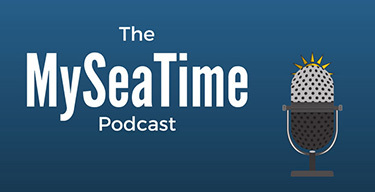 Meanwhile wishing you all fair winds and following seas. Thanks for the good words Mohamed..
but sir where do we find the length of the chain is mentioned...? i mean there must be a certificate for this ????? There is no certificate required for this. The number of shackles onboard is mentioned in the manoeuvring booklet and wheelhouse poster. Hi dear sir would you please explain the ( B ) in the formula? Apart from the usefull information u had provided above i have two querry sir. 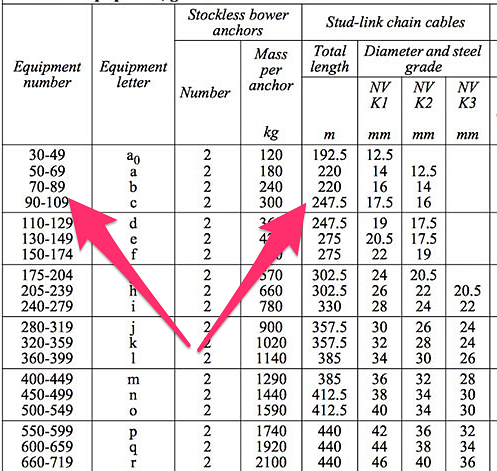 1 ) why port anchor have 10 shackle and stbd 9 shackle 2) why stbd anchor is called weather anchor. You are absolutely right about equipment number. for example if the number is 13.5 then both the chains will be approx. 14 shackle in length. It is class requirement that every vessel must be given one spare shackle besides as per equipment number requirement. 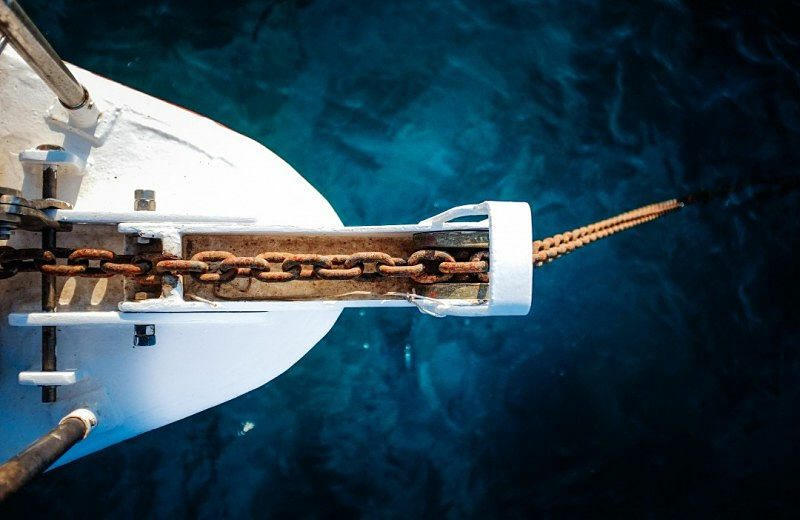 Since it is difficult to stow the chain in forecastle store it is connected to any one of the Anchor chain whether Port or Stbd. That is the main reason why we have different lengths of Anchor chain on all ships. Thank you and Best regards. Its a great thing has discovered for me for long period of time. Thank you so much.